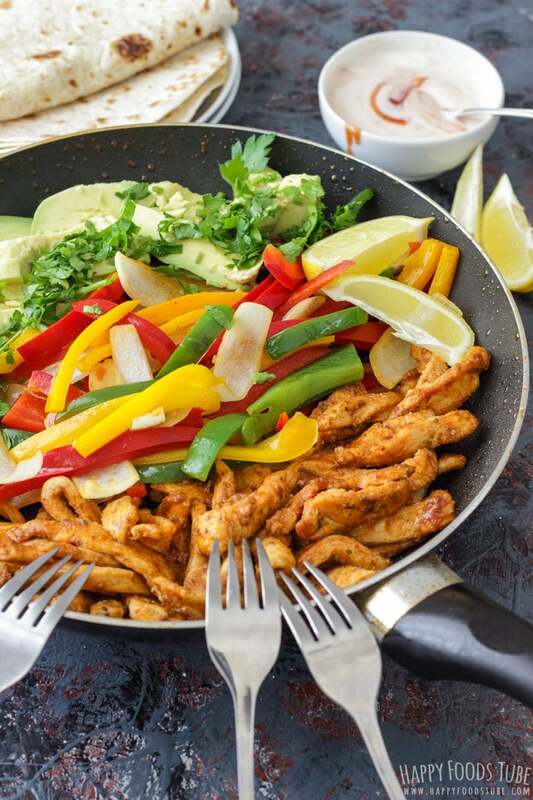 A quick recipe for Skillet Chicken Fajitas. 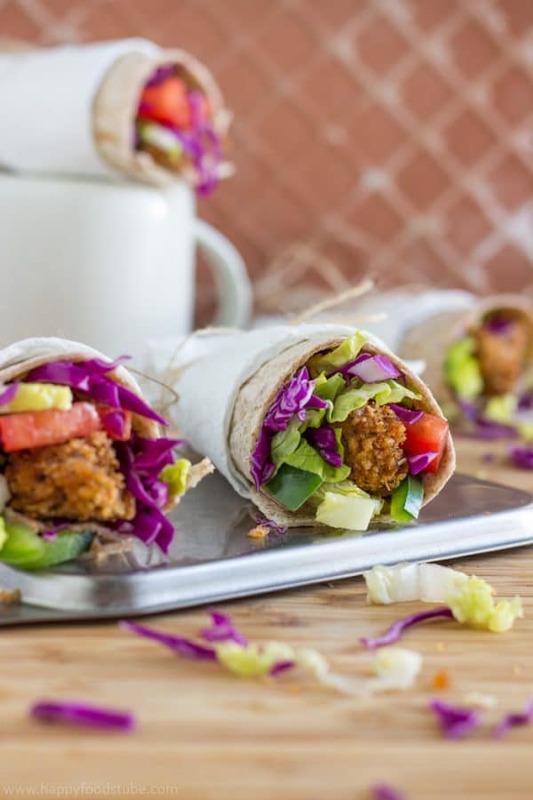 This healthy recipe is full of flavors and only takes 15 minutes to make! 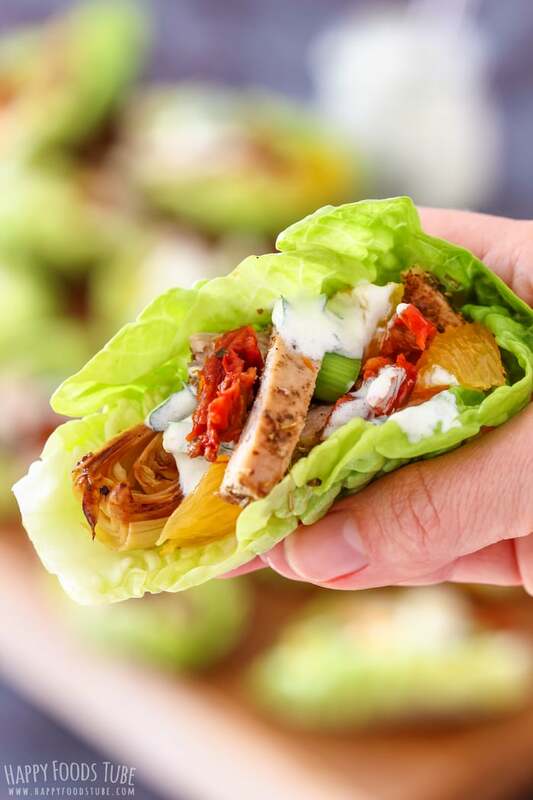 Juicy chicken seasoned with fajita seasoning, crunchy veggies and fresh avocado. Best served with toasted or grilled tortillas! 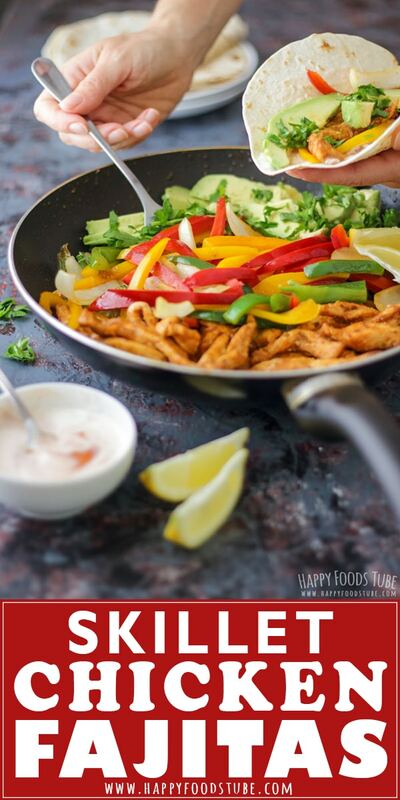 Skillet Chicken Fajitas will not disappoint you when it comes to flavor. I dare to say whoever try these will love them! Serve them with simple yogurt-based sauce, fresh avocado and coriander/parsley or anything you like. These would also be perfect for a Mexican-themed party altogether with Curry Beef Tacos and Churros. Authentic fajitas were only made with skirt steak. In fact, Mexican cowboys (vaqueros) called the skirt steak “fajita”, not the entire dish. If you don’t like tortillas, try making Sweet Potato Flatbread instead! It’s delicious and easy. How long should you cook chicken fajitas on the stove? 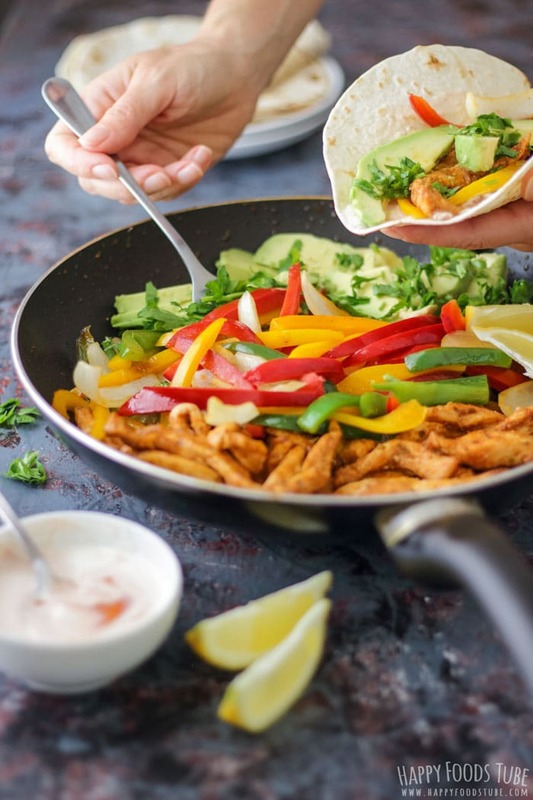 Making skillet chicken fajitas is very quick and if you don’t toast your tortillas one by one on the pan then you are ready in 8 minutes. Count with about 3 minutes for the veggies and 4-5 minutes for the chicken. That is all it takes to make them! How do you make chicken fajitas? Divide the cooking process into two sections. First cook the veggies on the pan. I simply stir-fry them. 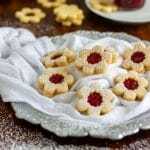 It’s quick and the vegetables have nice crunch to them but they are not raw anymore. Overcooked veggies will look wilted and won’t hold their shape. In this case it’s better to have crunchier rather than overdone vegetables. I like stir-frying them with only a little of oil. Then all you do is transfer them onto a plate/in a bowl and use the same skillet/pan for stir-frying the chicken. The time needed to cook the chicken may vary but if cut it thinly into strips you should be able to have it done in 4-5 minutes. To reheat the vegetables, throw them into the skillet at the very end of cooking the chicken. 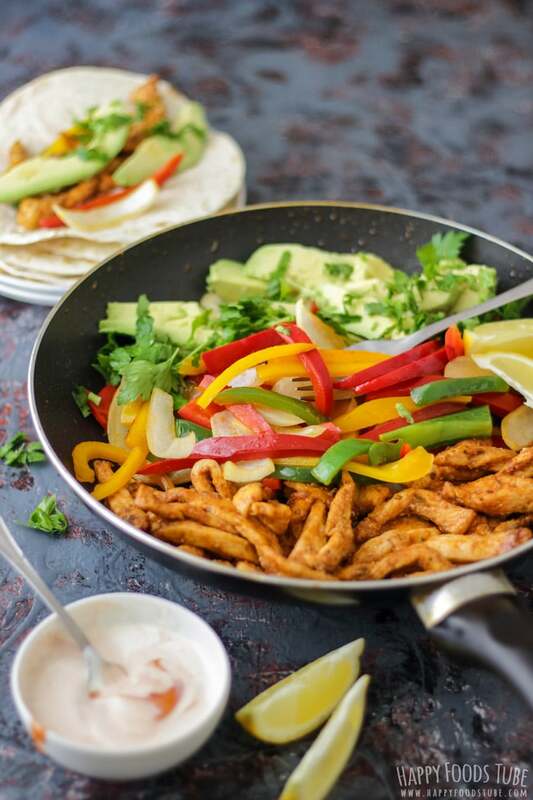 Serve these skillet chicken fajitas with flour or corn tortillas. I prefer flour tortillas that have been toasted or grilled. A fresh avocado is a must and to give it an extra flavor chop some parsley/coriander over as well. What is a good side dish with chicken fajitas? Guacamole, fresh salsa, Mexican street corn salad, pico de gallo or rice (to make it a richer meal) would all work well. I’d say make anything you like. I personally go for the fresh ingredients (avocados, salads) to balance the whole meal. 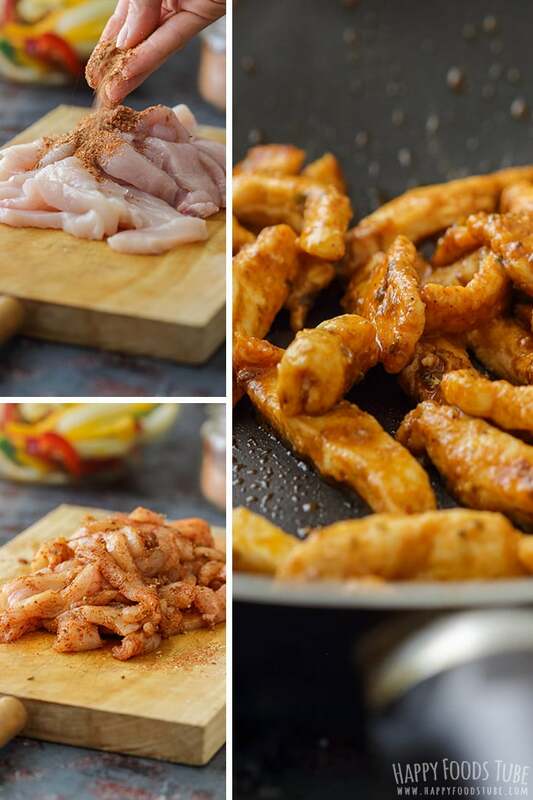 Cut the chicken breast into thin strips and season with fajita seasoning. Set aside for later. Peel and cut the onion into quarters. Separate the layers (and cut thinner if desired). Cut the peppers into thin strips. Heat the olive oil in a large skillet/pan. When the oil is hot add the onion and peppers. Season them with little bit of salt and pepper and stir-fry them on high heat for about 3 minutes stirring/tossing them occasionally. 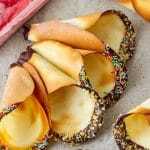 When done, transfer them into a bowl or onto a plate. Add more oil to the skillet/pan (1½ teaspoon should be plenty) and add the seasoned chicken strips in. Stir-fry them until cooked through. Throw the veggies back into the pan and toss them around until warm. 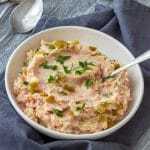 For the yogurt sauce, mix Greek yogurt, ketchup and minced garlic. Serve with tortillas, avocados and cilantro. If you have some time, toast the tortillas on a dry skillet or throw them on a grill. Your guest will definitely enjoy them more! You can use homemade or store-bought fajita seasoning. When using the store-bought option, just check the packaging to see how much to use. The thicker the chicken strips the longer the cooking time. 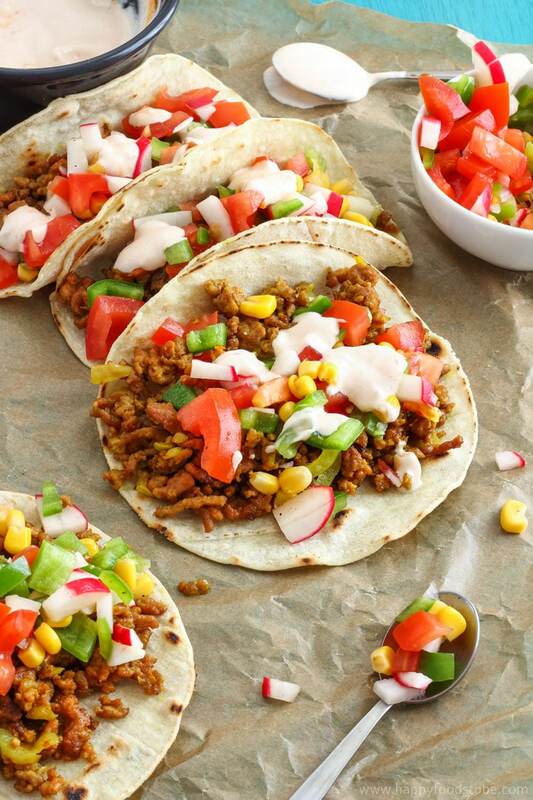 You will get 8 tortillas out of this recipe when using 7-inch (18 cm) wide tortillas. 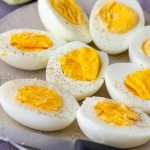 The amount might also differ slightly, depending on how much filling you use. If you prefer corn tortillas, use those. The amount of chicken/vegetables can be increased or decreased to your liking. Love, love fajitas on busy weeknights! I also like my veggies on the crispy side- soggy veggies are the worst! This recipe looks so bright and colorful!! What a beautiful meal! Thanks, Stephanie! Glad to hear you found the tips helpful. I love build your own fajita/taco night. 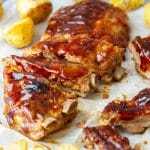 This is a great family dinner recipe. Saving! Build your own fajita night sounds like a great idea! We just love fajitas in our house! They are a weekly occurrence! Your recipe looks delicious, can’t wait to give it a go! 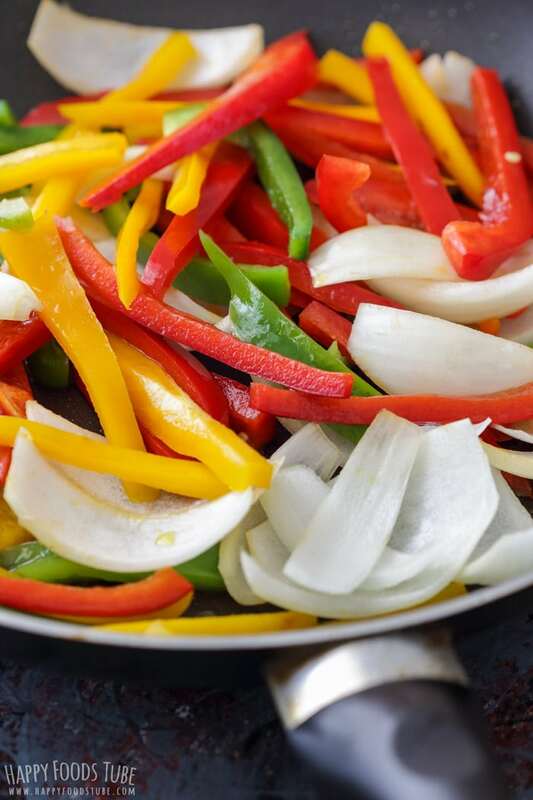 And that photo of the pan of peppers and onions. GORGEOUS!! !